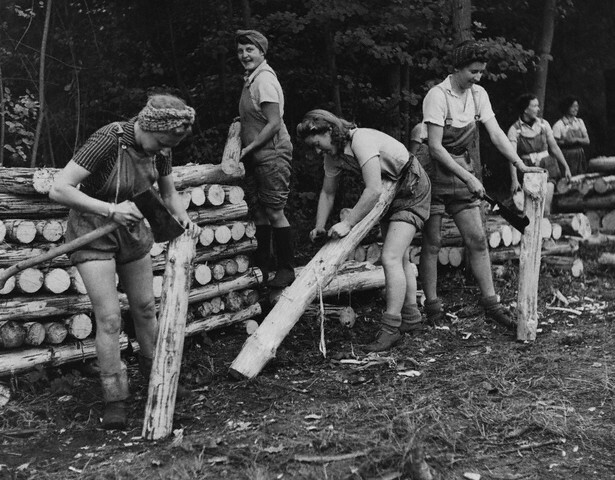 Circa 1939, Ola, Idaho — Farmers turned Loggers with a load ready to go to their self-help cooperative sawmill, started with a Farm Security Administration loan. The thing about great American design is that, for the most part, function is the driving element. It’s this functionality that’s ultimately the true spirit of what MADE IN AMERICA stands for. 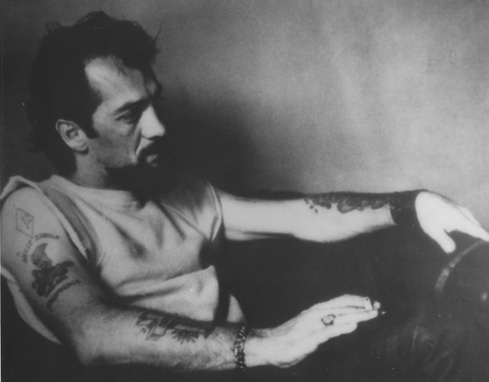 It ain’t about being pretty; it’s about being tough and working the way it’s supposed to. 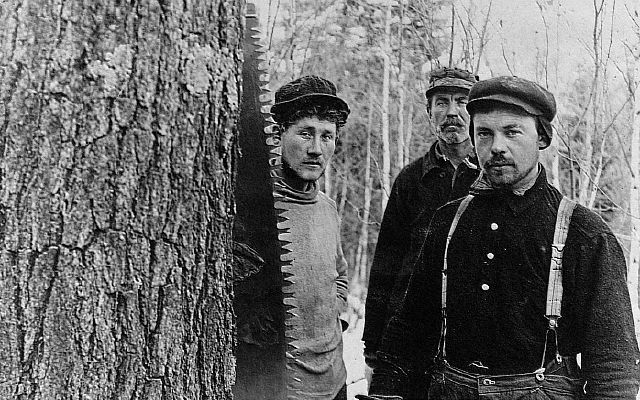 A lot of it harkens back to a time when Americans toiled long and hard outside, with their hands, and demanded gear that could hold up to their hard-scrabble lives, and unforgiving the elements. The gear was simple, honest, and true. You got your money’s worth. 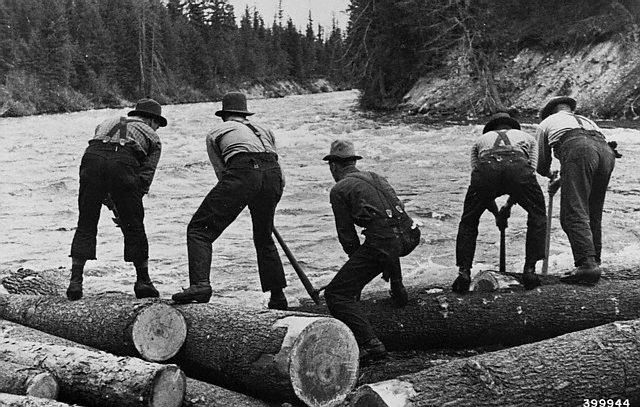 Our forebears would probably be more than slightly amused by the fact that many of today’s American workwear brand purists are not loggers, miners, and metal workers– however, the quality, core values, and classic designs behind these brands still resonate deeply within us. 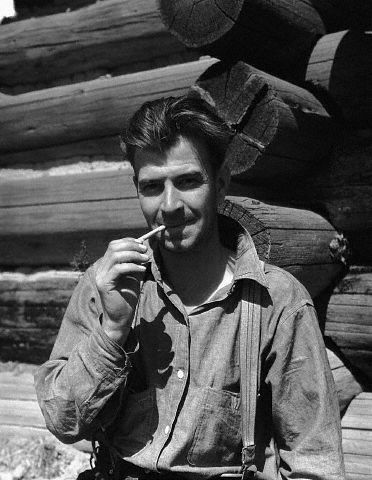 I believe down inside, most of us value the dignity of hard work, quality goods, and simpler times. There’s something honest and pure that’s sadly missing in the daily gadget grind of our increasingly disposable lives. 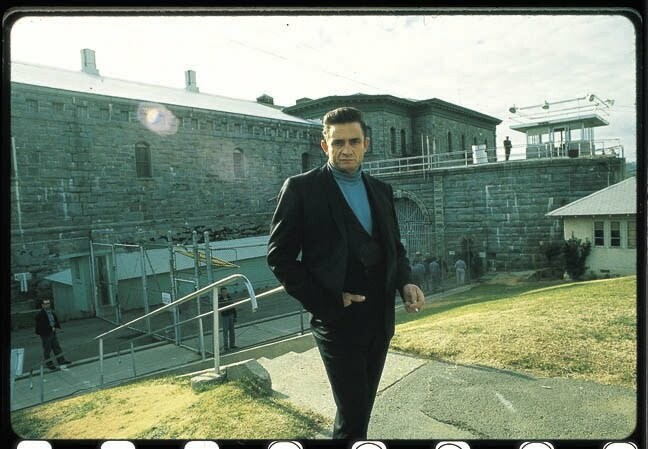 It’s like some of us have a primal itch that we just can’t scratch– so we gird our loins with garb from days gone by, to pay tribute to a life and times we’ll never know, but long for so badly. Recently I had the honor of sitting down with Clark Perkins, brand manager for legendary Chippewa Boots. Full disclosure– I am not exactly Charlie Rose, I am a cultural observer and men’s wear guy who gets excited about a lot of different things, especially product I use and love. I traffic in hyperbole, but in this case everything I pen about Chippewa boots is 100% true! Ok, maybe a little opinion is thrown in there, but when I interview brand managers, merchants, and design folks I admire, I melt into the form of a 13 year old girl watching Twilight than an objective observer, but what the hell. When you’re talking about ‘best in class’ products, respect is due. 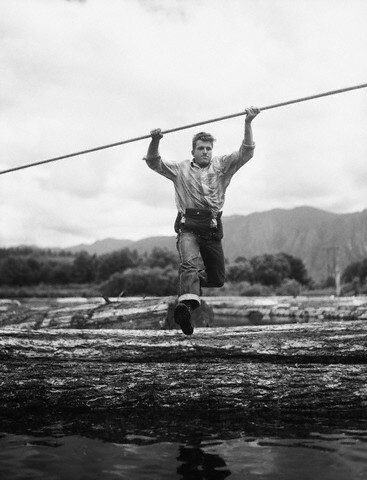 Circa 1930s– Loggers (or Lumberjacks) working every muscle in their body, and living off the land. 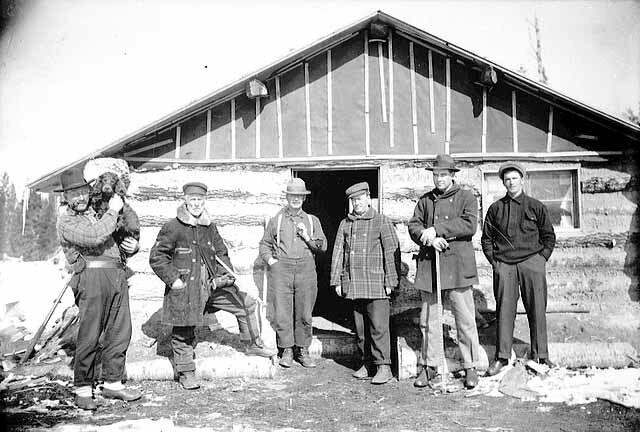 Tell me a little about the Chippewa Story? Author’s Note: I have seen these worn by outdoors men (and women) in those noted hunting and fishing hot spots Tokyo, London, and Milan. 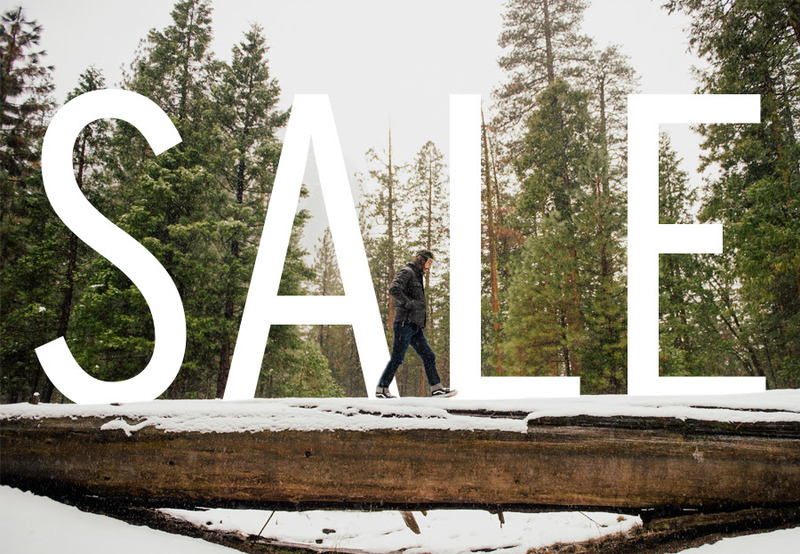 Bottom line: Chippewa has produced ruggedly handsome, functional, and reliable footwear for 100 plus years. What’s the biggest market for Chippewa outside of the US? So even in this economy there are plans for expansion? I’ve worn Chippewa Loggers for a long time, why are they so great? So how do you feel managing such a venerable brand and writing its next chapter? 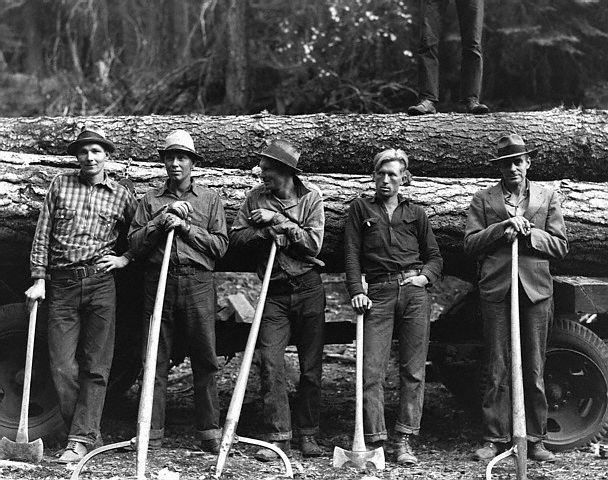 Circa 1950s– Washington loggers showing their stuff– and boots. Check out the spikes for extra bite. What is your favorite model in the range? 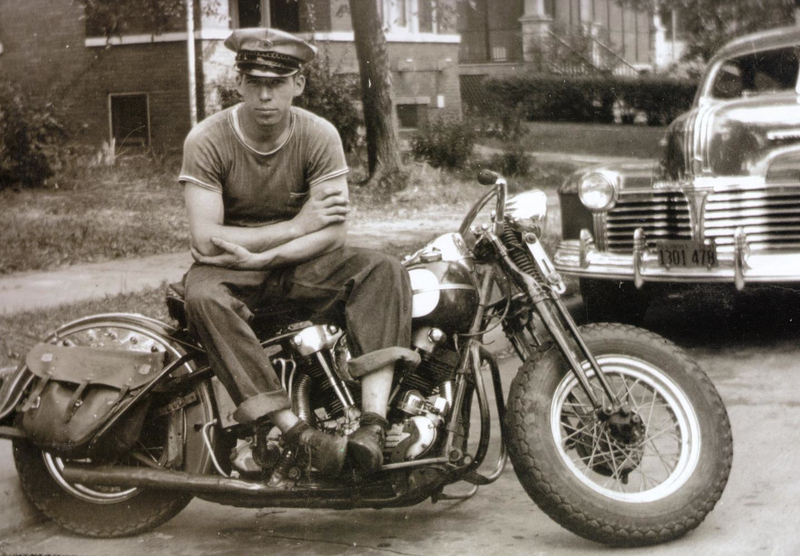 This entry was posted in American, footwear, history, Icons, japan, vintage and tagged 1900s, 1910s, 1920s, 1930s, 1940s, 1950s, apparel, boots, Chippewa, history, logging, menswear, vintage, Wisconsin, workwear. Bookmark the permalink. That’s a baller thing to say. I think your comment shows exactly where this country has gone wrong – low expectations. Most people read “Thats a baller thing to say” and nod in agreement, as addiction to consumerism has programmed many to accept lower standards. Zack, I could not agree more! That is why we have got to support these brands and we as consumers need to DEMAND quality with our wallets. We cannot settle for less. If it ain’t great, don’t buy it. The actual comment about “launching when it meets our expectations for quality” , was said in a matter of fact manner, no bravado. Clark said it in a way that made me believe that this mindset was the norm for him and he would be shocked that others do not strive to produce best quality product regardless of price. I have maybe more of a jaded perspective because I develop products for a living and I have been on both sides of the equation: I have been invigorated when people strive to be the best and produce the best and will accept nothing less, and have had my stomach turn when people strip down a product because they can’t figure out how to make it right and make money. I admire the people and brands out there that still commit to quality, and these are not necessarily the most expensive players in a zone. The just do it better. Last rant-I was on a conference call yesterday with thousands of other brand managers talking about consumer trends for 2010. The funny things is that the brands that did relatively well in 2009 and are fore-casted to do well going forward all had three words associated with them” authenticity, quality, value”. The consumer is the one who drives the bus and if we choose to drive it this way, we will get better products across the board. My Chippewa combat boots are invincible, and will never lose their glossy shine. How fitting! 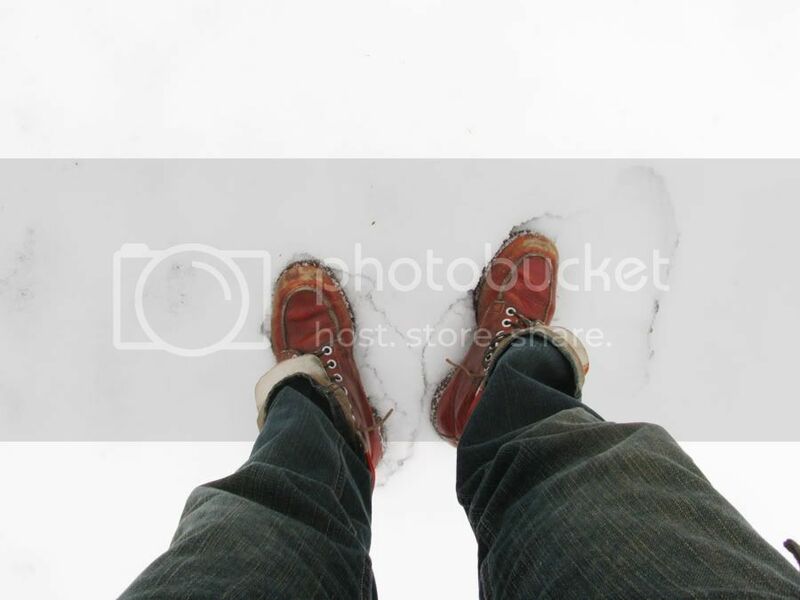 I just ordered a pair of the Arctic 50 boots last night (surprisingly hard to find). I read that you can still attach skis to them! What a great brand, a true American treasure. My engineer boots are my favorite so far. 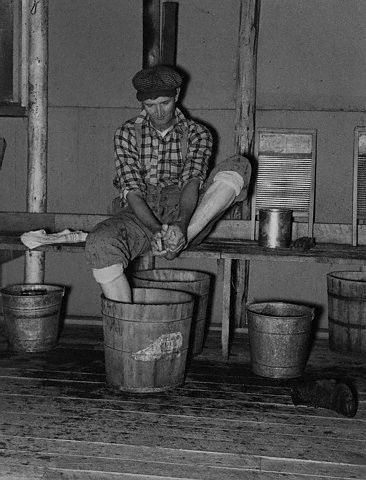 Eli (and anybody) Tall Trees, Tough Men is a fantastic read about NE logging and logging camps… plenty of caulked boot action. great, great, dialogue… love the post. Pops has some old CWs with a moc toe. cant seem to find a similar model now but they are killlller. again, out of sight. Thanks I will definitely get that book, also do you still have the boots with the mock toe? 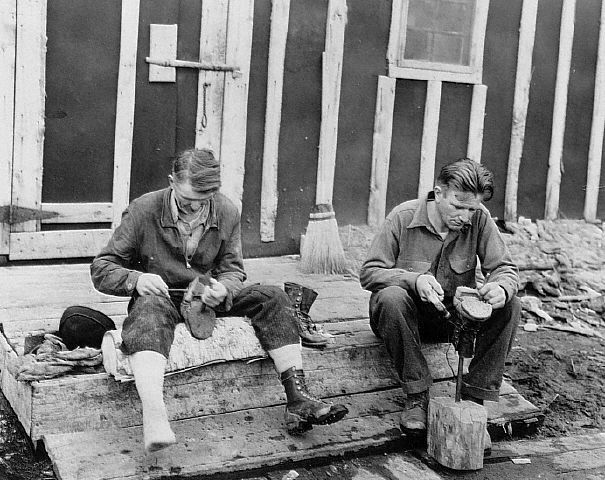 In the last few years, I’ve bought three pair of lace-up Chippewa work boots from internet retailers that turned out to be Chinese-made, thanks to the fact that retailers no longer have to say whether a product is imported or not. These boots retail in the $160 range, and if I’d actually paid that much, I’d have been very angry. 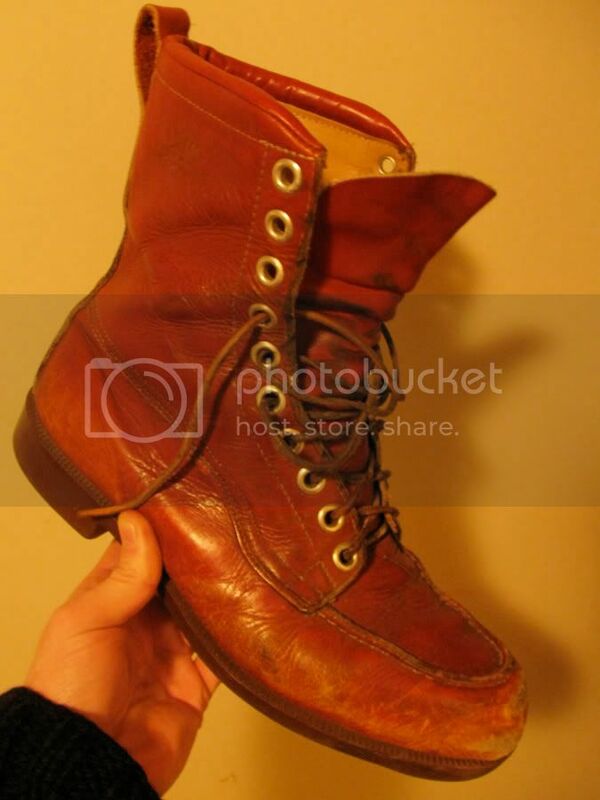 I do have three pair of Chippewa pull-ons that are American-made, and both the Chinese and American seem to be good quality, other than a problem with heel width on two of the American boots. I wonder what percentage of Chippewa sales is made in America. Maybe ten percent? The majority of sales are still made in the USA and they are for functional use for people that work hard for a living. 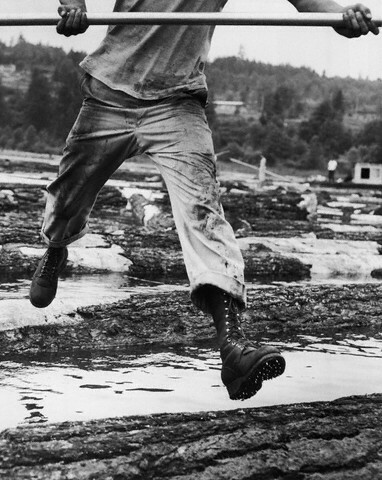 The consumer from Japan is the “Free and Easy” magazine guy who loves American workwear. JFox, fantastic these are just about perfect and I am a big fan of 10engines! Well written article about a solid, unique American brand. As many have pointed out, the comment, “It will launch when it meets our expectations for quality. We are in no rush; we have over 100 years of history to protect,” was one of the most profound passages of this piece. In a time that corporations (especially in apparel fields) are so stringently held to time lines and investors, it is refreshing and invigorating to hear a brand stand up for the process of getting it right, and insuring their brand integrity. Chippewa is at a really exciting place to maintain their heritage as a functional, performance driven company, but also be on the forefront of the fashion scene. Here’s wishing them another 100 years of success and opportunity. Shows that when you stay true to who you are, success will follow. Is it true that 90% of this great “American” brand’s product is made in China ?? No majority is made in their factory in Carthage, Missouri. They do make some product in China. Check out their website and they can give you a factory tour. Plus a lot of the materials are sourced right here in the US, only item, to my knowledge, not from the US is Vibram, which is an Italian company. I didn’t count ’em up, but if you go to their website, some of the boots have a “handcrafted in the USA” plus flag logo, while others don’t. I suspect that’s one way to tell. Well, Eli, you’ll have to do more than just say a majority of Chippewa’s sales are of American-made boots to convince me. 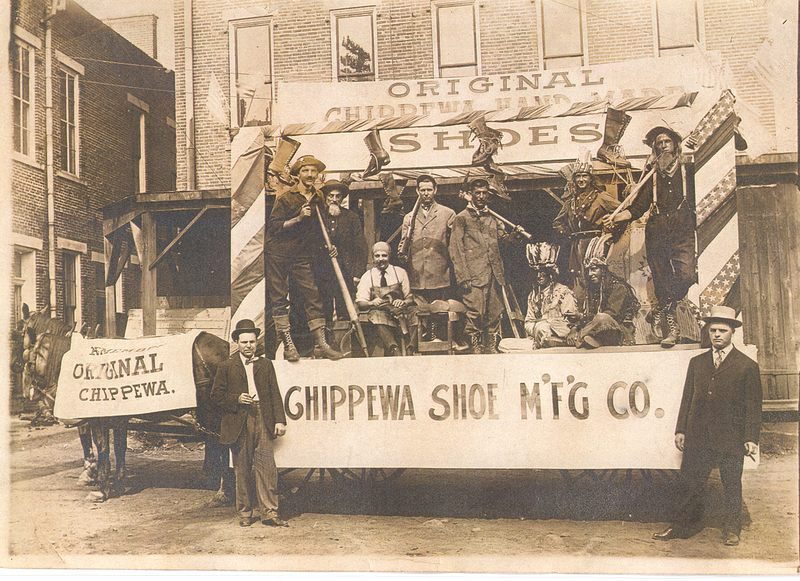 Although their Chinese boots are now nearly as expensive as their American boots (near as I can figure), they’ve been much less expensive in the past, which makes it hard to believe the Chinese don’t make the large majority of Chippewa’s sales. Before I posted, I did a brief google and came up with an article in the Christian Science Monitor from 2004 that says half of Chippewa’s boot sales are Chinese-made. It’s five years later, folks. Great write up, prompted me to share mine. thanks again. I love my Chip motorcycle boots. They actually acted as a splint for my ankle when I broke it.